This all-wood art gallery represents some of the finest wood artists and craftsmen in the state of Hawaii as well as selected wood artists from around the world. The gallery showcases superbly crafted contemporary, traditional and functional wood art for the sophisticated collector. The gallery boasts 80 plus varieties of Big Island grown woods displayed among woods from various global locales. Dunn Gallery features an array of museum quality woodturnings including the traditional Hawaiian calabash, salad bowls and the elegant vessel. Exquisite furniture, one of a kind boxes, unique wall art, whimsical and netske-styled works, contemporary realism, sculpture, and gift items are on display. 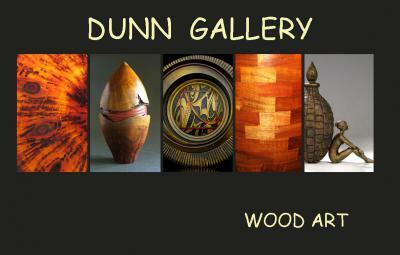 Dunn Gallery encompasses the passion and beauty of wood art by connecting works of art with collectors, hosting exhibits and art events.